Quickly scan items into the register using bar codes – or add items with one touch. 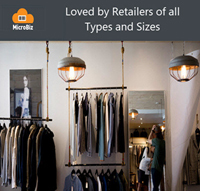 Discount individual items, groups of items or the entire transaction. You can do price checks and check inventory. It’s so intuitive that employees will be able to use the POS application with almost no training. Add any items to a transaction with one touch – even non-inventory items such as service and delivery charges. The keys can be set to prompt for the price or the size or color of an item. Drill down into sub-categories of quick keys, providing access to hundreds of items arranged by category. 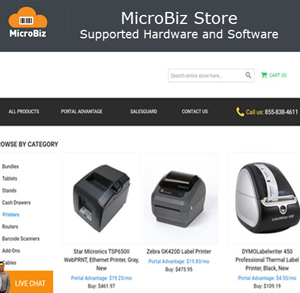 MicroBiz allows you to scan items using a bar code reader with PCs, Macs or iPads. As a mobile POS terminal, you can ring up sales anyplace and at anytime – trade shows, sidewalk sales, street fairs, sporting events, etc. 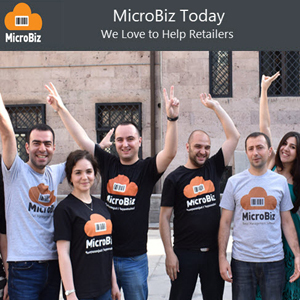 Just log into your MicroBiz app using an iPad and you can start ringing up sales. You have the option to print or email receipts to your customers. Receipts may be formatted with your store logo, transaction bar code, website address and a customer message. Emailing receipts is a clever way to collect email addresses from your customers for outbound marketing campaigns. 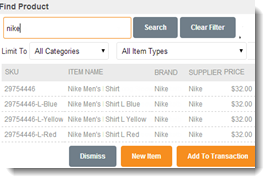 Use multiple ways to search for products and add them to a transaction. 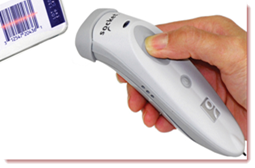 You can scan an items bar code, or search for products by name, SKU or ID, brand, supplier and price. The same search methodology is used to search for customers, transactions, gift cards, credit memos – and price checks. 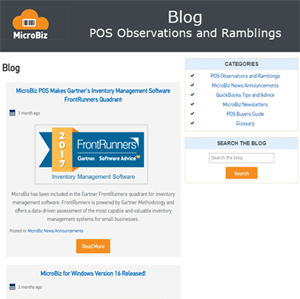 Issue, track and redeem gift cards in real-time across multiple store locations without using an outside payment processor. Use standard gift card stock purchased from any 3rd party vendor. Cards can be sold in fixed or variable amounts. Plus it’s included for free with your paid subscription. Registers can be batched at the end of the day to help reconcile sales to deposits. 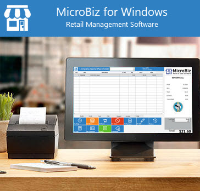 Close-out process allows you to keep a specified amount of cash in the till and includes a Z report showing a daily snapshot, salesperson activity, category totals, taxes collected and tender types.